An intriguing patent originally filed by Apple back in August 2010 labelled as the “Smart Bike”, has today been granted by the US Patent and Trademark Office along with 47 other patents to the Cupertino company, PatentlyApple reports. Apple’s Smart Bicycle System is much like Apple’s Nike + iPod system for runners, except this one is for cyclists. The source details the patent as a system which is not limited to individuals, but is also designed to work with teams of cyclists so that they could communicate with each other on-the-fly about course difficulty or perceived problems. The Smart Bike system will be able to monitor speed, distance, time, altitude, elevation, incline, decline, heart rate, power, derailleur setting, cadence, wind speed, path completed, expected future path, heart rate, power, and pace. The system could utilize various sensors built-into the iPhone in addition to working with sensors already built-into the bike itself. Apple’s granted patent is extraordinarily detailed and packed with interesting twists that the sporting cyclist will really appreciate. This isn’t a design patent, so don’t get caught up in look of the device or that it looks like an old iPod. In fact, to dispel the idea of it only relating to an old iPod design, Apple’s patent describes an alternative display design that could include a movable display or a projecting system for providing a display of content on a surface remote from the bike, such as a video projector, head-up display, or three-dimensional (e.g., holographic) display. 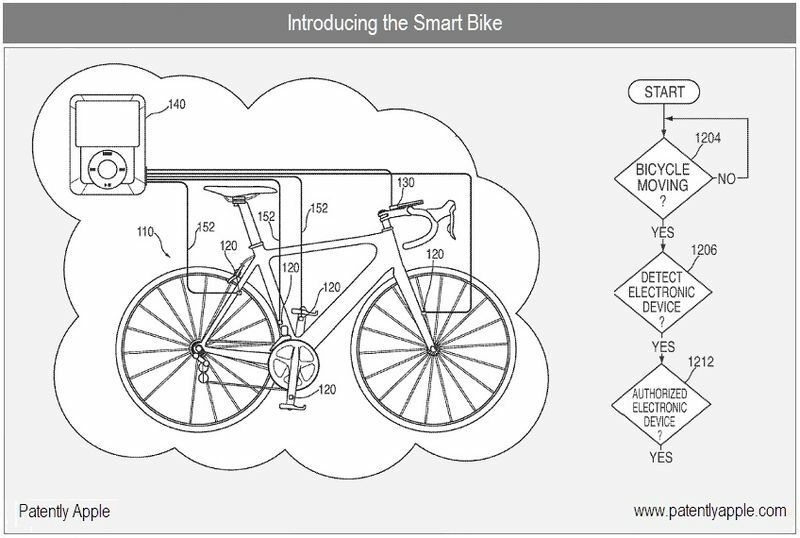 For more details on Apple’s proposed Smart Bicycle System, head over to this link. 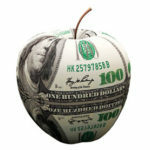 Does Apple Need to Change Its iPhone Sales Strategy?